It has been one week since we came back to north from our vacation in the Caribbean warmth. We got a bit chilly home-coming as the temperature difference from south to north was about 40 degrees Celsius (from +30 C° to -10 C°)! We got married in April 2017 and wanted our late honeymoon trip to contain the elements of sun, sea, sailing and visiting new places. The last Autumn was very busy for us so the best time of the year to travel was right after the New Year. One of the main reasons to select the Caribbean as a destination was the possibility to charter a small monohull sailing boat, which would be an ideal and economic choice when chartering as a couple. 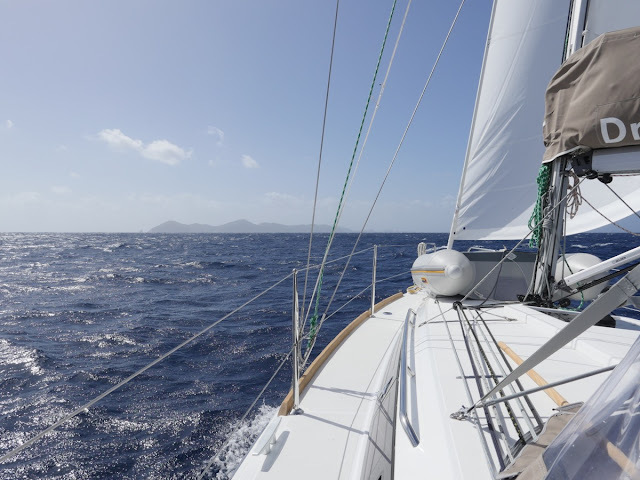 Our initial plan and reservation was made for British Virgin Islands, but the catastrophic events due to the Hurricane Irma changed our plan: the charter boat was lost in BVI and also the hotels that we had booked suffered major damages and had to be closed for this season. 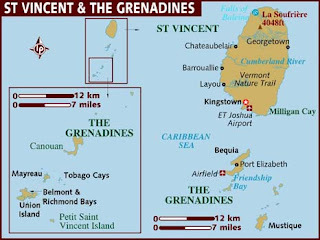 Thus, our reservation was changed to St Vincent and the Grenadines, which was a very inspiring but also more challenging sailing destination. We are happy to see, that things seem to be getting forward quickly in BVI and other areas devastated by the 2017 hurricanes and we are looking forward to sailing there hopefully sometime in the future. 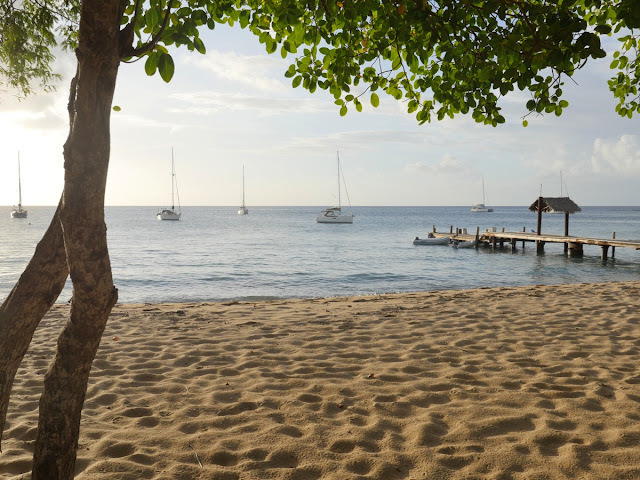 We flew first to Barbados, which is a transpotational hub in the area with its large international airport. Barbados has many beautiful beaches along the coastline, but it also suffers from negative effects of mass tourism. 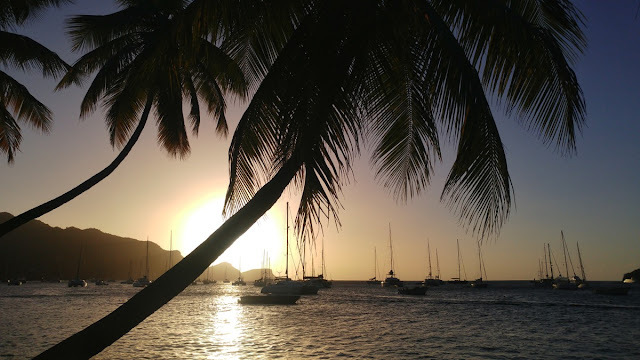 In that way we enjoyed the genuine Caribbean atmosphere that we found from the islands in the Grenadines. 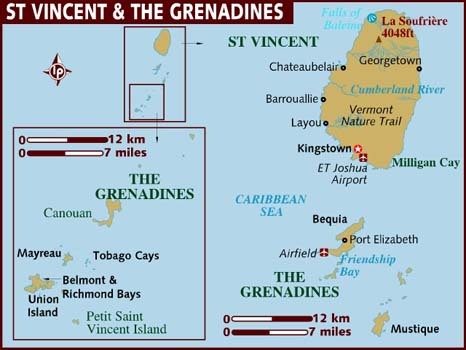 Especially the western coast of Barbados is densely populated and scattered with large hotel areas. 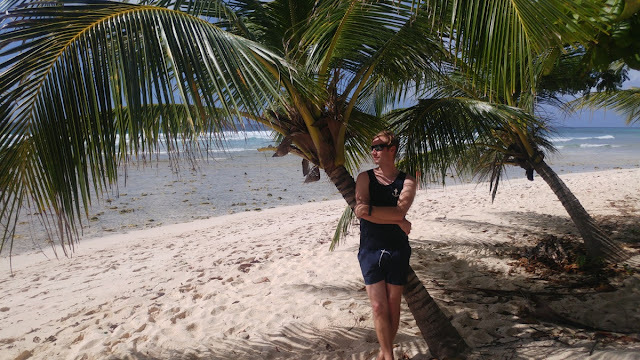 However, the good thing in Barbados is that all the beaches are public so you can walk kilometers along the beach. After relaxing for two days, we took a flight to St Vincent, where the Dream Yacht Charter’s base is located. We got the boat on the Saturday 6th of January, but after settling in and getting all the provisioning in place, it was getting late so we decided to stay in the harbour for the night. The Blue Lagoon Marina was actually the only marina where we stayed during the week as in the Grenadines we always used anchor or mooring. The ocean swell found its way to the marina, so the first night was a bit too restless for us. Furthermore, we were not used to living 24/7 in the rolling boat, so it took a while to find our sea legs. 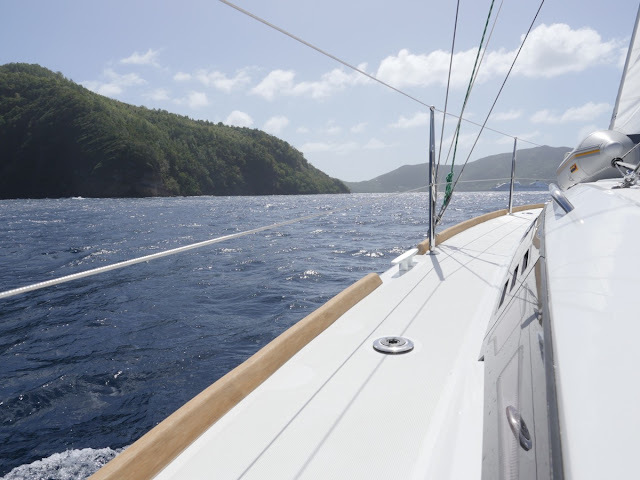 However, we used anti-seasickness medication during the first days and that helped to keep the seasickness away. 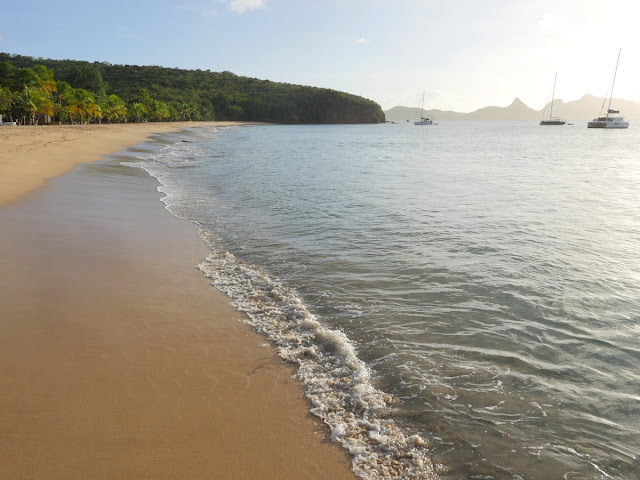 The first leg on Sunday was a short one to nearby Bequia where the town of Port Elizabeth, located in the Admiralty Bay, is one of the best and most popular anchorages and natural harbours in the area. We anchored in the five meters' depth with a good holding for the night. On Monday, we continued to Tobago Cays area, which was the main destination for the trip. 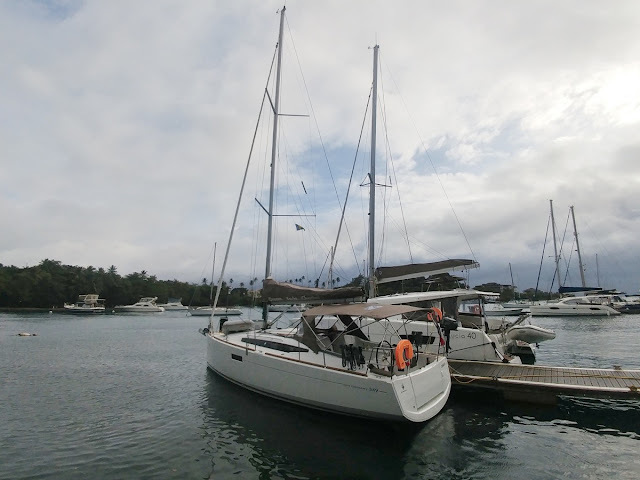 We first looked for mooring from Salt Whistle Bay in Mayreau, but as all the moorings were taken, we continued to another anchorage in the island, Saline Bay. 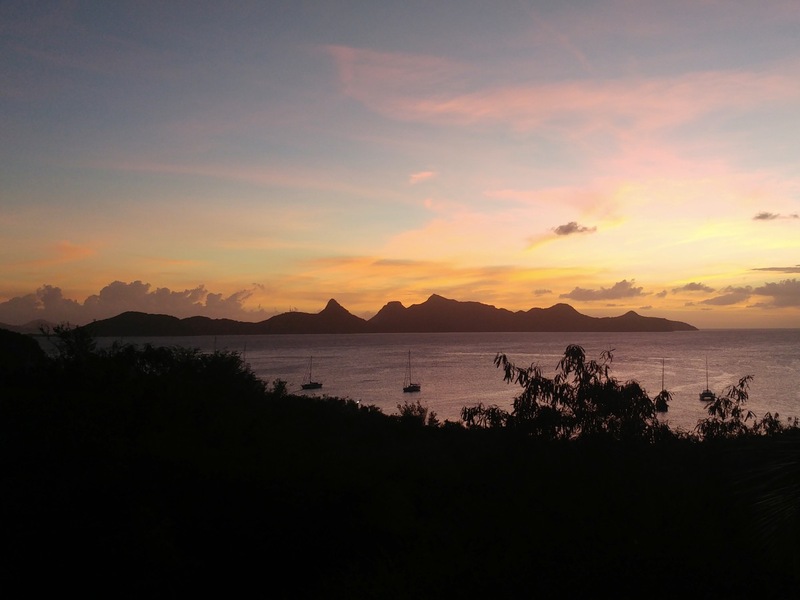 On the following day it was time to continue to nearby Tobago Cays Marine Park, where we would spend two nights. More about that in my next blog post. Yes, it is very enjoyable there. 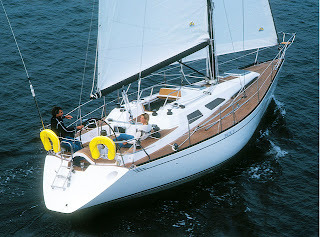 We used to own a Beneteau 473 with the Moorings and spent nearly 6 years enjoying that region plus others, like the Adriatic, Mediterranean, and the Aegean ports. 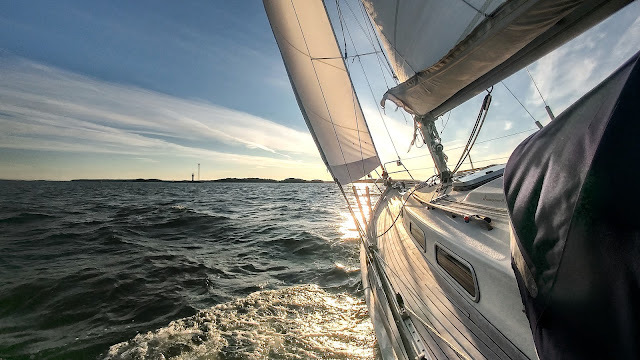 How did you find the responsiveness and handling of the 349 Jenneau compared with your fabulous ship up north? Thanks, I was a bit afraid that Jeanneau 349 would be too small and light boat for Atlantic sailing, but she performed surprisingly well in the swell and waves of the Atlantic also on upwind. However, we did not push the boat that hard. 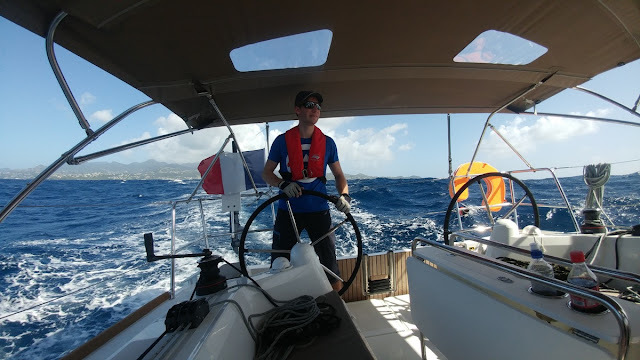 I did not like certain details (like how all the sheets, reefs and halyards are handled only with two aft winches), but it is also about routines and learning the best practices.